We are one the Oldest Web Hosting Company in Delhi NCR. 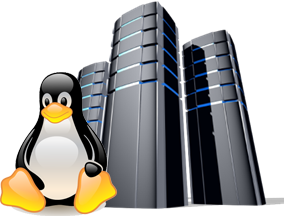 We offer Shared Linux Web Hosting on Proactively Managed Servers in USA & Europe. We host your website on the Best of Datacenter in EUROPE OR USA. We chose to host with them after lot of research and spending in lakhs on trials. We offer Cpanel Control Panel for our Linux Hosting Packages and use Branded and best available servers which money can buy. Our Servers are proactively Managed by highly qualified technicians in USA and India. Our Servers are hosted on state-of-the-art, private data center facilities located in USA. Managed 24/7/365 with an on-site Support staff that is stacked with highly trained technicians. We are here to serve you, whether you are a startup or a Big Portal. As on date we serve Websites for novice users & Portals like Quikr and institutions like National Board of Examinations, FMS, Export Promotion council of India etc. Lightning Fast Speed for those in Asia, Europe & USA. Support PHP 5.4x, 5.6x, 7.0x, Perl, CSS, Ajax, Python, RoR, GD, cURL, CGI, mcrypt, FTP,SMTP, POP3 and IMAP etc. Phone/email support from staff with 5-15 years experience. All Cpanel Features like Cron jobs,FileManager,Cpanel Backup Wizard,Phpmyadmin etc.